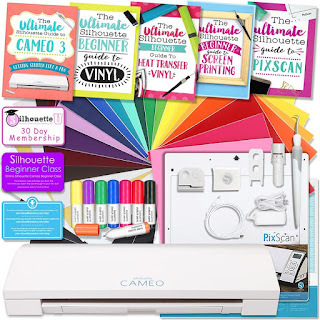 Join our eBook Affiliate Program! 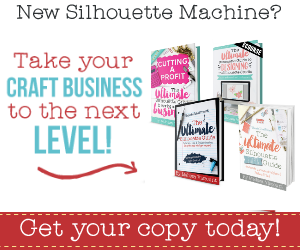 Are you a DIY or crafty blogger who shares Silhouette projects on your site? 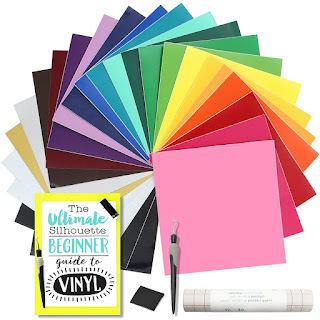 Are you an online retailer who sells Silhouette-related items? 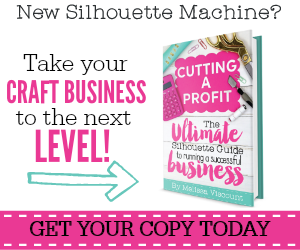 If so, join Silhouette School's The Ultimate Silhouette Guide ebook affiliate program and earn up to 25% of the sale price every time a reader purchases an ebook copy of The Ultimate Silhouette Guide, The Ultimate Silhouette Sticker Guide, Cutting a Profit or The Ultimate Silhouette Guide to Designing ecourse. You can even earn on ebook bundles. Affiliate sales benefit both of us. 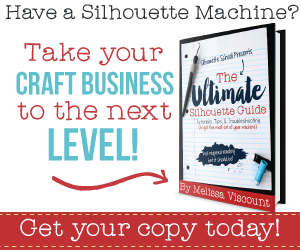 You help spread the word about The Ultimate Silhouette Guide series and I reward you with cash for telling your reader about how awesome Silhouette School's ebook are. 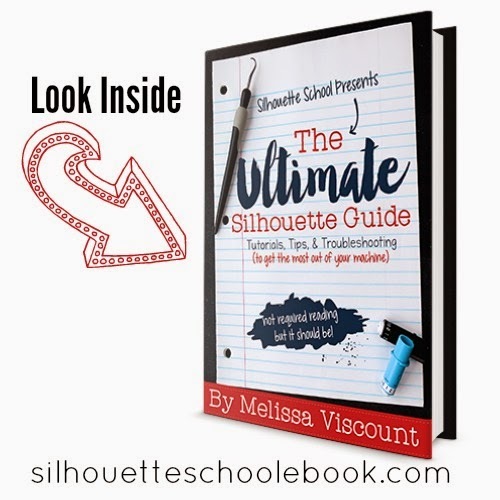 These one-of-a-kind digital resources for Silhouette users - of all levels - sells themselves. 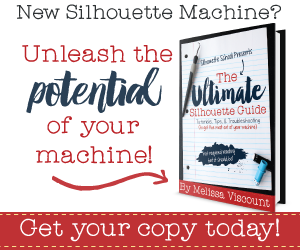 Share with your readers what you love about The Ultimate Silhouette Guide ebooks and show them that you're not alone... Silhouette users from all over the world have purchased and shared their love for The Ultimate Silhouette Guide ebooks. Check out what they're saying on the Customer Review page. 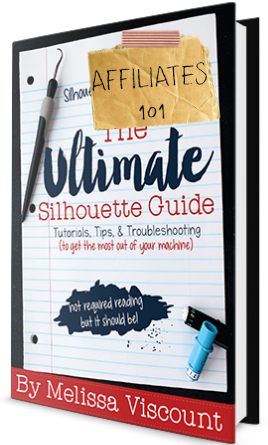 Please note: Paper back copies of The Ultimate Silhouette Guide and mini guide ebooks or paperbacks do not qualify toward affiliate sales. 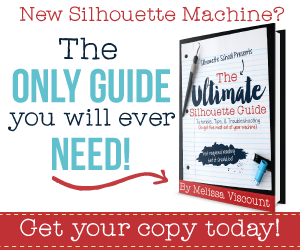 What's the best way to tell your readers about The Ultimate Silhouette Guide ebooks? That's the best part: you decide! You know your readers better than anyone. If you think a button or banner ad on the sidebar of your blog is the best way to reach your readers, then by all means grab one of the ads below. Simply right click and save the images to your computer than upload onto your blog. 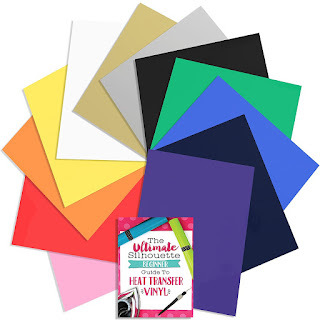 Be sure add unique affiliate link to direct your readers to The Ultimate Silhouette Guide sales page so you get credit for the sale. If Social Media - Facebook, Twitter, G+ or Instagram - is the best way to interact with your readers than feel free to share your link directly with your followers that way. It's easy! You join the affiliate program, copy your unique code, promote the book and get paid! 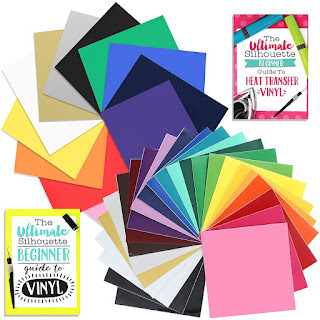 Affiliate Payments are made through eJunkie.com (where the ebook is hosted and transactions are logged) and Paypal at the end of every month. 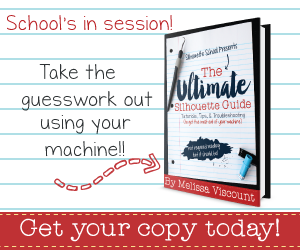 The affiliate rate of a single ebook is 25% and 10% on bundles and commercial license SVGs. That can add up quickly since most of our bundles are over $50. 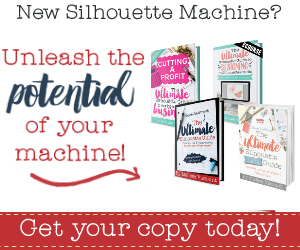 After you have registered, come back to this page and click here to join the Silhouette School ebook affiliate program.